There are many good reasons to study mathematics: preparation for a career, use in another field, or the beauty of the subject itself. 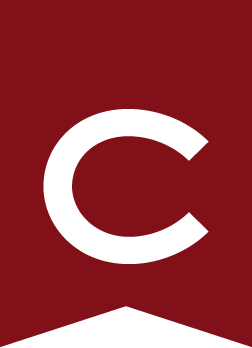 Students at Colgate who major in mathematics go on to careers in medicine, law, or business administration as well as areas of industry and education having an orientation in science. Non-majors often require mathematical skills to carry on work in other disciplines, and all students can use the study of mathematics to assist them in forming habits of precise expression, in developing their ability to reason logically, and in learning how to deal with abstract concepts. There are also many people who view mathematics as an art form, to be studied for its own intrinsic beauty. All mathematics courses are open to qualified students. Entering first-year students who have successfully completed at least three years of secondary school mathematics, including trigonometry, should be adequately prepared for MATH 161 . Students who have studied calculus in secondary school are typically ready to enter MATH 162 or MATH 163 . Students who are planning to undertake graduate study in mathematics are advised to take MATH 485 and MATH 487 . For a student to be considered for honors in Mathematics or in Applied Mathematics the student must achieve a 3.3 GPA in the respective major; in order for the student to be considered for high honors, a 3.7 GPA in the major is required. For both honors and high honors, completion of a course numbered 440 or above that is not a research seminar is required. Honors / High Honors are attained by a student’s production and defense of a thesis of distinction. A grade of A- or better is required to be considered for honors. A grade of A or better is required to be considered for high honors. The student’s thesis adviser puts forward the thesis for honors consideration. Evaluation of a thesis under consideration is undertaken by a committee appointed by the department. The committee includes the thesis adviser, and the grade awarded requires unanimous agreement of its members. Joint theses are allowed but will not normally be considered for honors. Exceptions may be made with departmental permission. As a reminder to the student writing theses for two different departments: In Colgate’s Honor Code, it states: Substantial portions of the same academic work may not be submitted for credit or honors more than once without the permission of the instructor(s). The Allen First-Year Mathematical Prize —This prize is awarded for excellence in mathematical work throughout the student’s first year. The Edwin J. Downie ‘33 Award for Mathematics — created in memory of Edwin J. Downie ‘33, professor of mathematics emeritus, this award will be given annually to a senior majoring in mathematics who has made outstanding contributions to the mathematics department through exemplary leadership, service, and achievement. The Osborne Mathematics Prizes — established in honor of Professor Lucien M. Osborne, Class of 1847, to be awarded to any student who maintains a high average in mathematics courses in the junior year. The Sisson Mathematics Prizes — established in honor of Eugene Pardon Sisson, a teacher of mathematics in the academy 1873–1912 and awarded to a student who maintains a high average in one or more 200-level mathematics courses. Students should review the MATH 161 , MATH 162 , and MATH 163 course descriptions for information on topics and prerequisites, or consult with a department faculty member. In general, students are encouraged to enroll in a higher-level course. Students may drop back from MATH 162 to MATH 161 within the first three weeks, subject to available space in an acceptable MATH 161 section. Students earning 4 or 5 on the Calculus-BC Advanced Placement exam will receive credit for MATH 161 and MATH 162 . Students earning 3 on the Calculus BC exam will receive credit only for MATH 161 . Students earning 4 or 5 on the Calculus-AB Advanced Placement exam will receive credit for MATH 161 . Students earning 4 or 5 on the Statistics Advanced Placement exam will receive credit for MATH 105 . There are no other circumstances under which a student will receive credit at Colgate for a mathematics course taken in high school. Transfer credit for a mathematics course taken at another college will be granted upon the pre-approval of the department chair. Mathematics and Applied Mathematics majors or minors may not receive transfer credit for MATH 250 , MATH 260 , MATH 375 , MATH 376 , or MATH 377 , but must pass these courses at Colgate and must take them as regularly scheduled courses, not as independent studies. At most, two transfer or independent studies courses may be counted toward a major or minor. Transfer credit and/or placement appropriate to academic development of a student may be granted to incoming first year students who have achieved a score on an international exam (e.g., A-Levels, International Baccalaureate) that indicates a level of competence equivalent to the completion of a specific course in the department. Requests should be directed to the department chair. Any such credit may not be used to fulfill the university areas of inquiry requirement, but may count towards the major. The Department of Educational Studies offers a teacher education program for majors in mathematics who are interested in pursuing a career in elementary or secondary school teaching. Please refer to Educational Studies . Colgate sponsors several study-abroad programs that can support continued work toward a major in mathematics. These include, but are not limited to, the Wales Study Group (U.K.), the Australia Study Group, the Australia II Study Group, and the Manchester Study Group (U.K.). For more information about these programs, see Off-Campus Study .